An official physical meeting of CROCUS’s Regional Young Oblates Committee was held at the Queen of the Apostles Retreat House in Mississauga, ON. Present were the new representatives of the provinces of Notre Dame-du-Cap, Assumption, OMI Lacombe and US. This committee continues to carry out the efforts of discerning the future missionary presence of the Oblates in the North American Region. The 2018 Young Oblate Congress was a success and a strong desire to continue with that synergy was communicated by last year’s participants. This meeting’s main focus included discussions on the importance of interculturality, the Congregation’s 36th General Chapter calls to reflect on regional mission to the “new faces of the poor” and the actual congress schedule. Sharing our current ministries, with its joys and challenges, reminded us that we must be intentional about pastoral responses with the appreciation of interculturality. The objective of the Congress is to infuse our regional membership with zeal for the mission opportunities in the Canada-US Region despite the decline in active and abled membership. We staff many Oblate pastoral commitments through CROCUS provinces and yet the future needs to be a collective effort to define Oblate missionary presence while acknowledging the changing trends of the new faces of the poor, reinvigorating the formation process, both first formation and on-going formation, and a sense of missionary availability among other mandates acknowledged from the ACTS of the 36th General Chapter. The undercurrent feeling of this meeting was one of hopefulness and enthusiasm from all members present. 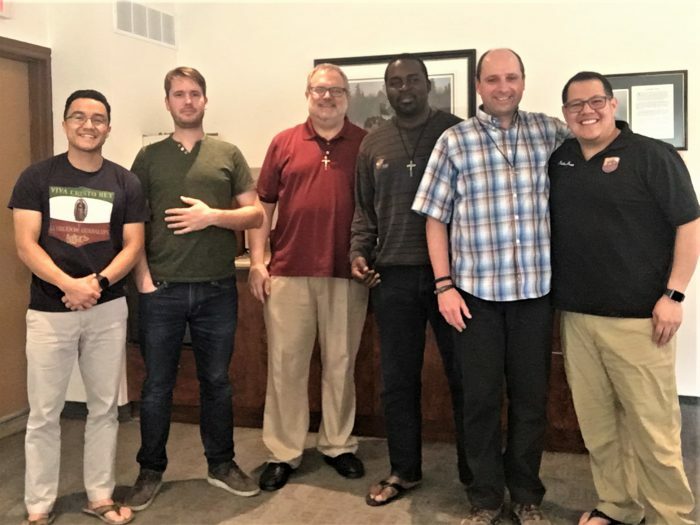 This permanent committee continues to embark in the process to provide a Congress opportunity where young Oblates and their provincial leadership plan to meet in Canada early fall of 2019 with five representatives of each participating CROCUS provinces.